Inspired by customer requests for gifts to medical students studying neurology. This unusual pair of earrings are sure to get a smile. 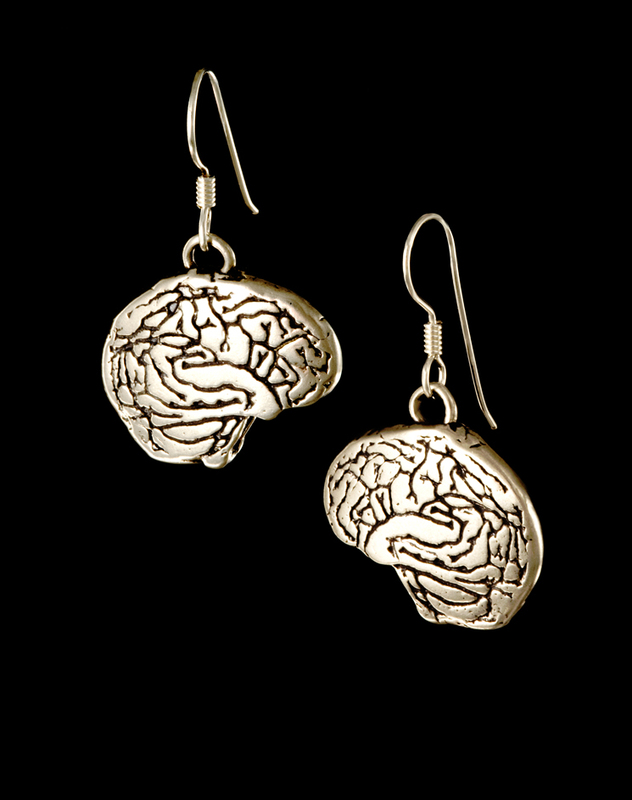 Solid sterling silver earrings on french wires depict brains on both sides.